My goodie box came and inside was a set of Antique White Wire Baskets. I had to put on my thinking cap for this challenge and try to come up with something outside of the ordinary. 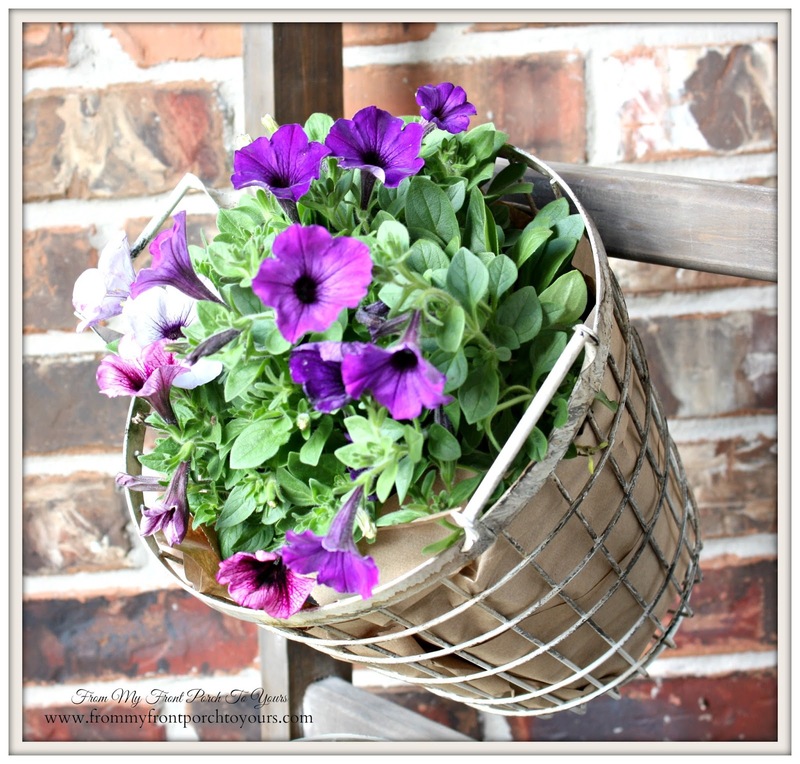 I mean there are so many wonderful uses for these baskets from using them for towels, toilet paper, magazines, fruit, cooking utensils. I mean the list could go on and on. You could even use them to create a light fixture with. I did not have enough time for that though. 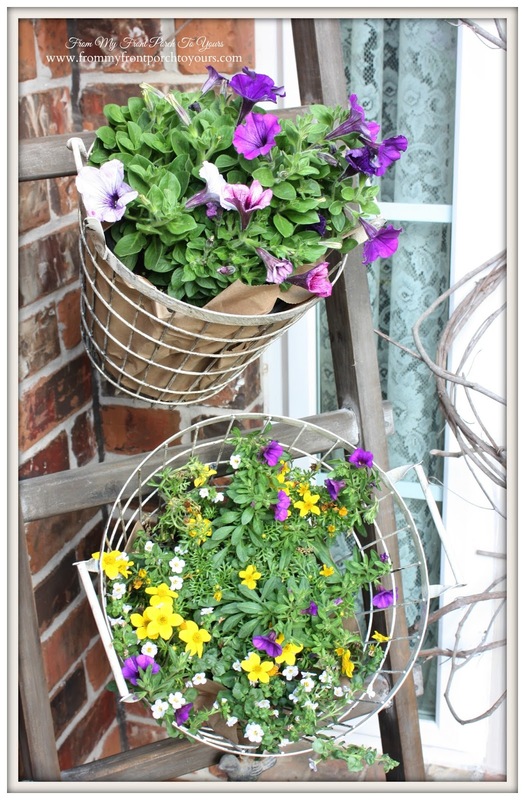 I decided that the baskets would make the perfect containers for flowers on the porch. 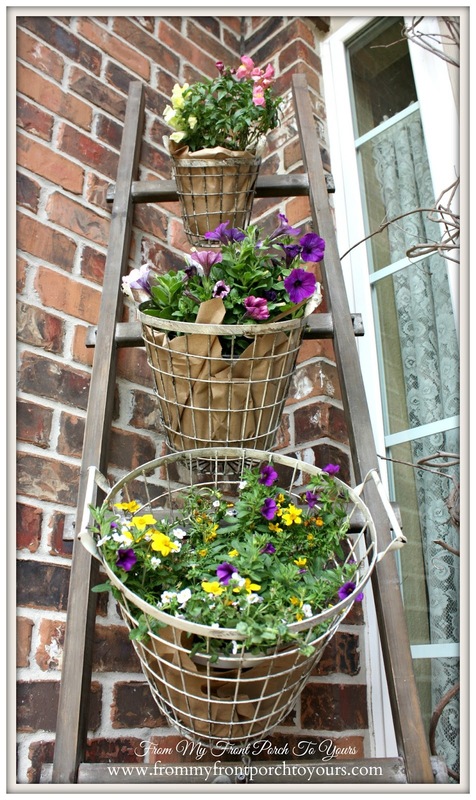 I grabbed my vintage looking display ladder and screwed in three small screws that I could hang the baskets from. I then ran to my local super center to find some pretty flowers at a decent price even though I have terrible green thumb. After getting home I needed to find something to wrap the flower pots in since you would be able to see them thru the wire baskets. I first wanted to use burlap but I did not have enough. I remembered though that I had brown paper lunch bags stored away. They made for the perfect cover up don't ya think? Thank you Decor Steals for such a fun challenge. Mr. Front Porch came home and commented on how nice they looked out on the porch so mission accomplished. Now if I can only finish up the rest of the porch. I know I will be using these baskets many times over. Loved how u used your baskets. Perfect for your pretty flowers. 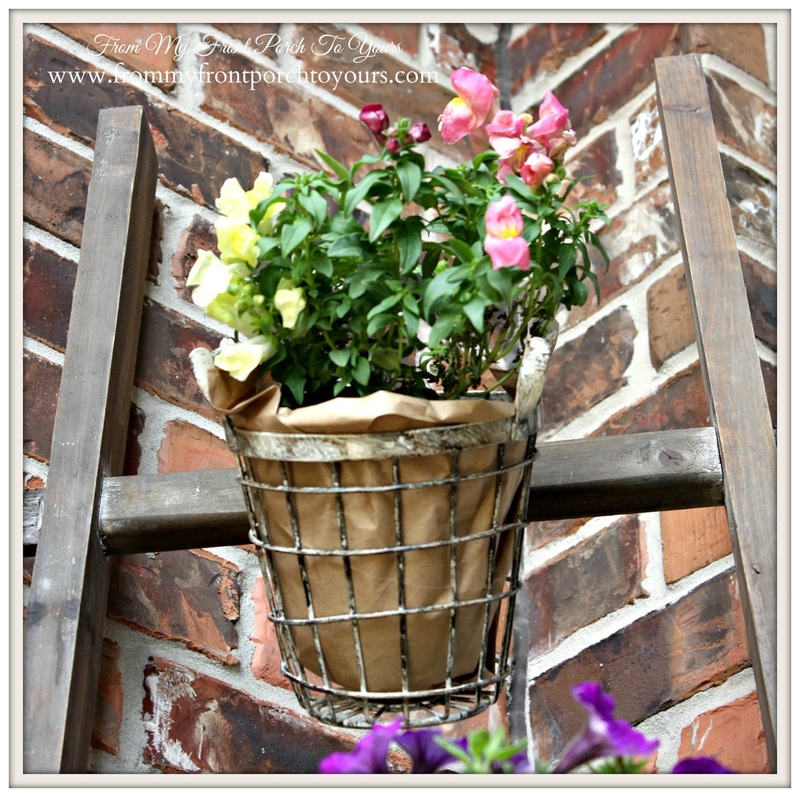 Super cute way to use those baskets, Pamela! This was a great idea, Pamela! 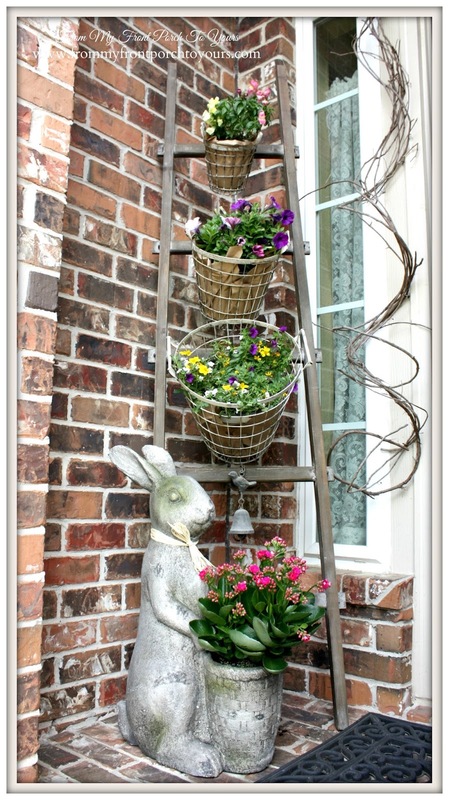 The baskets filled with flowers make such a great statement for your entry. 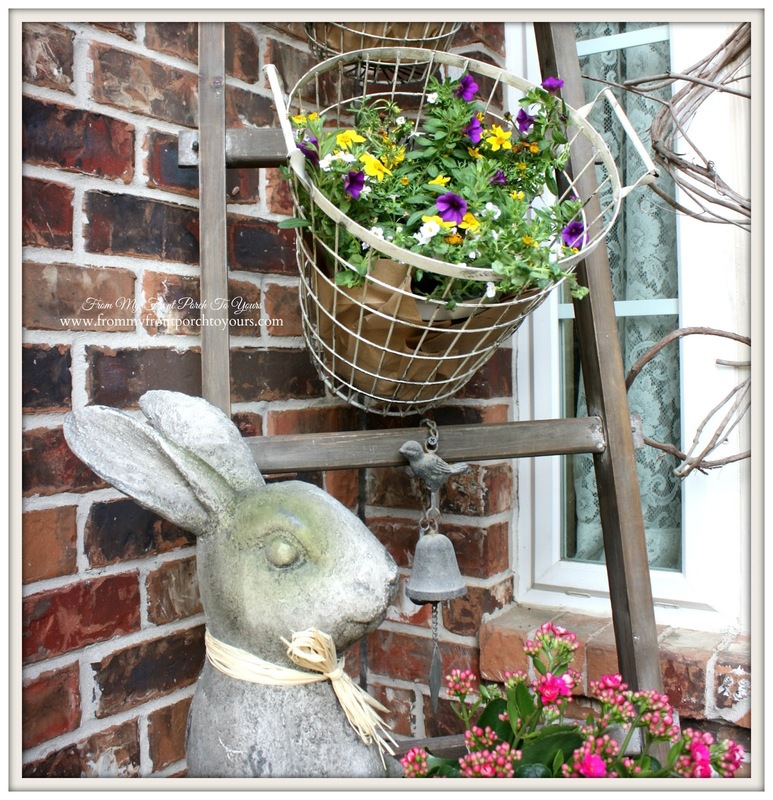 LOVE the way you displayed those pretty metal baskets and I LOVE your bunny planter! That corner looks so pretty! Happy Easter Pamela!